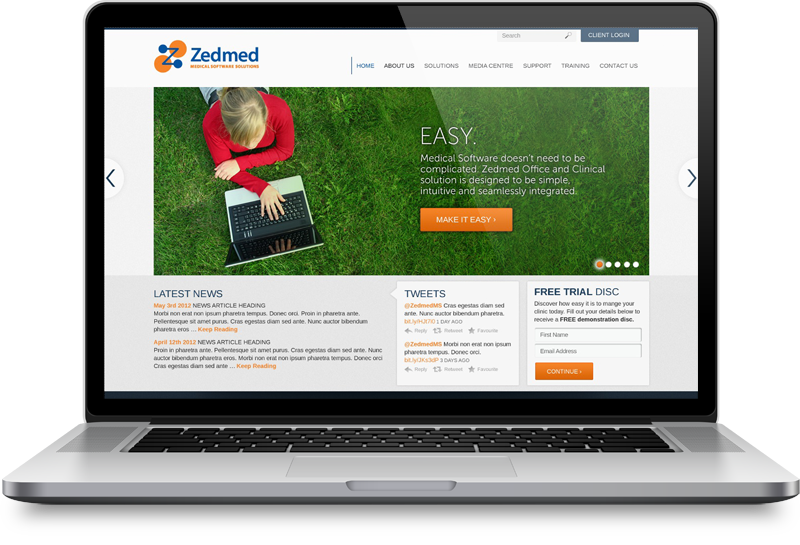 Established in 1978, Zedmed is one of Australia’s leading technology solutions companies. 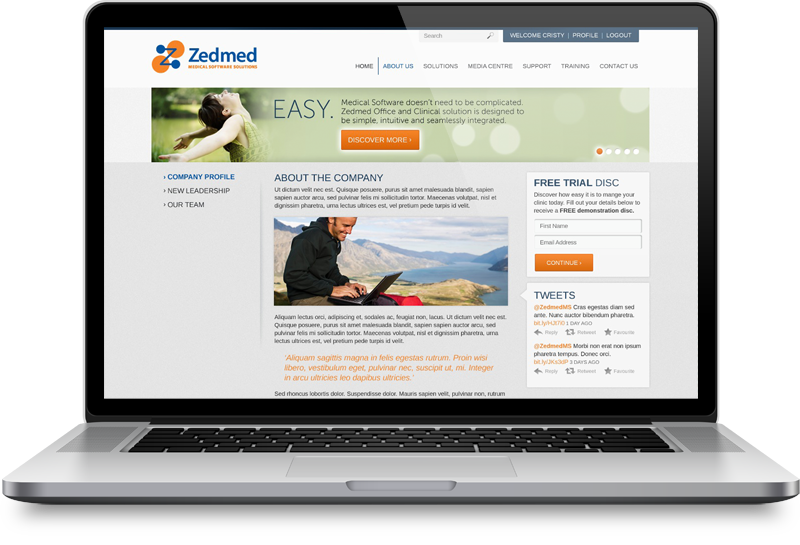 Zedmed offer medical software solutions that have evolved to become seamlessly integrated, full-featured, sophisticated, and above all, easy to use. 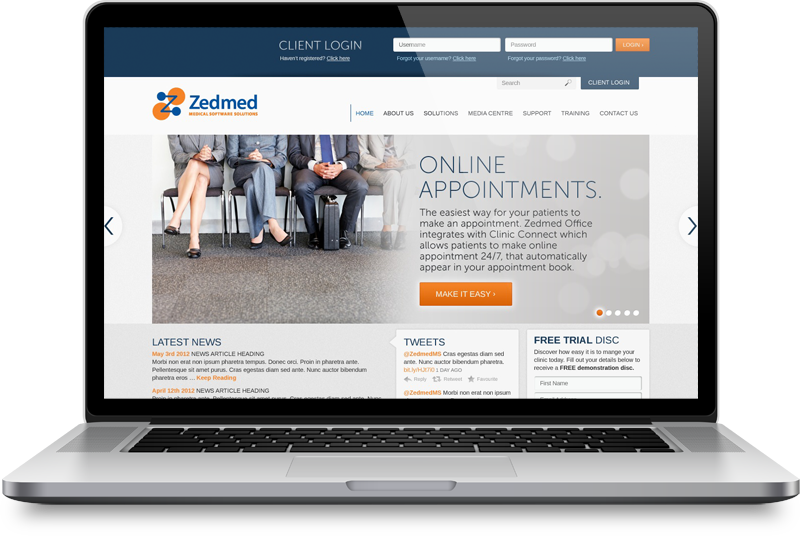 They are one of Australia’s longest serving medical software companies, with over 950 clients nationwide. The website design project required a complete redesign and refresh of their existing website. A clean and contemporary approach accompanied by a user interface that was easy to navigate and infinitely scalable from a content perspective was a key focus. Additional functionality and features were introduced through the design phase including streamlined client login functionality, social media integration and more.